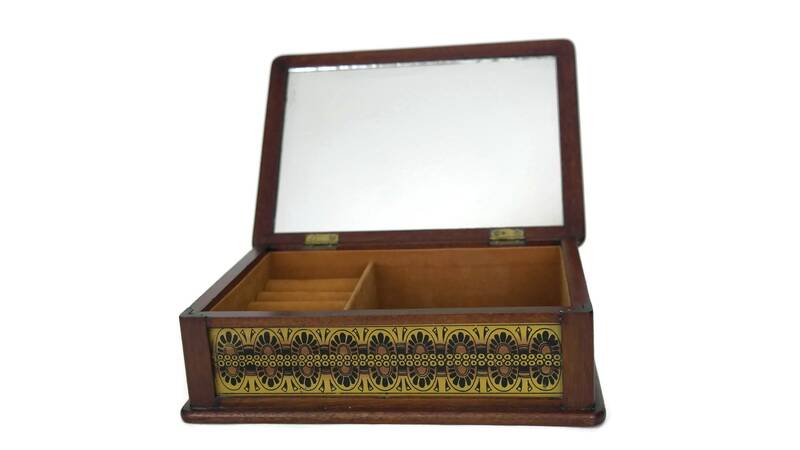 A stylish vintage men's wood valet box hand crafted in Germany. 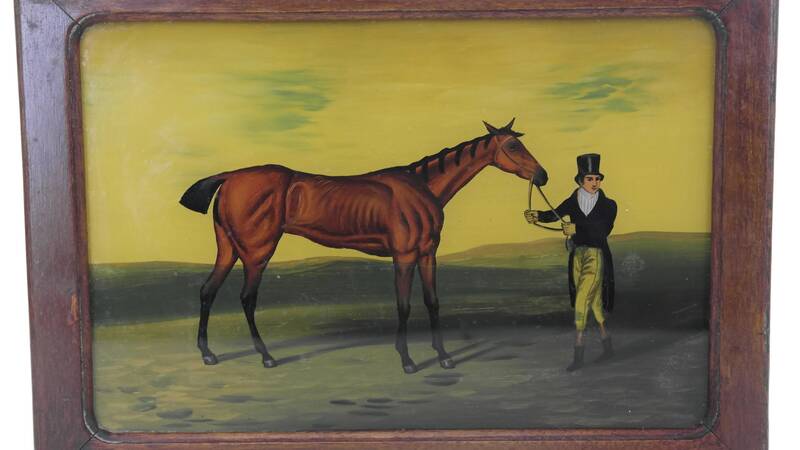 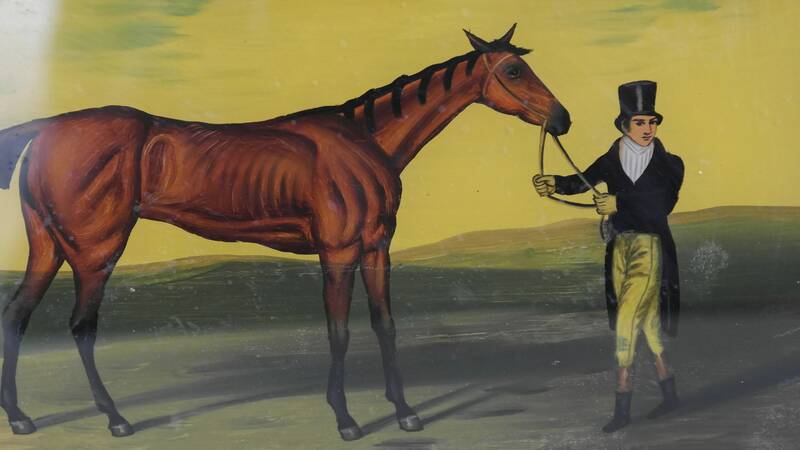 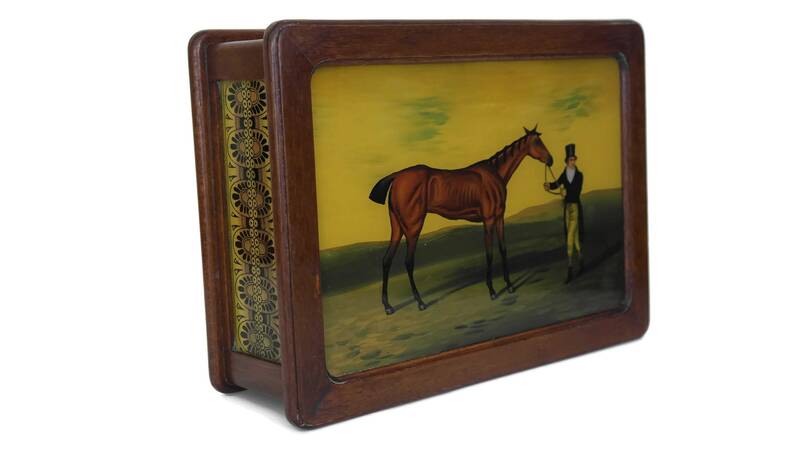 The hinged lid has been decorated with a charming hand painted under glass scene of a horse and rider. 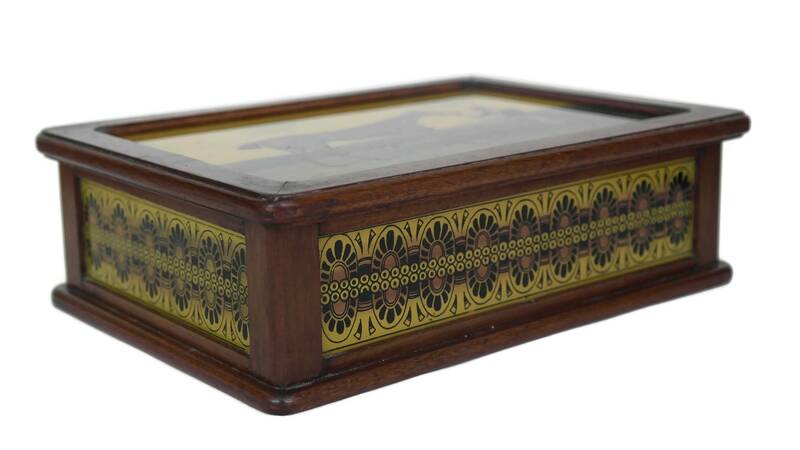 The dresser box also glass panels around the sides which have been hand painted with geometric patterns. 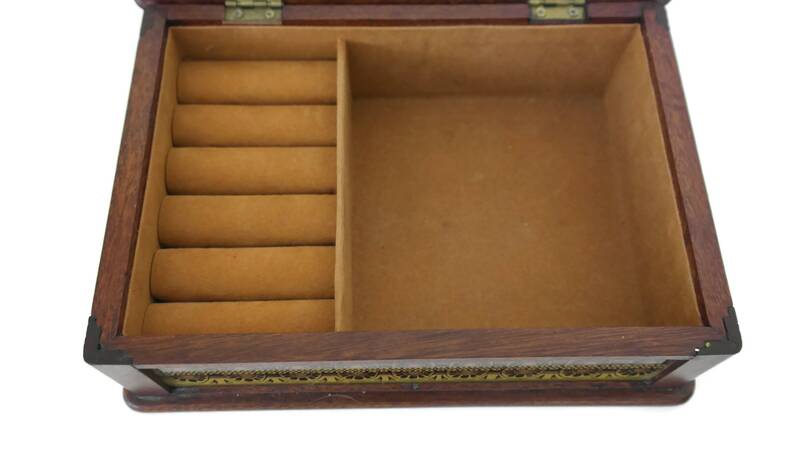 The interior of the men's jewelry storage box feature a mirror on the lid and sections lined in Suede for organizing watches, cuff links and rings. 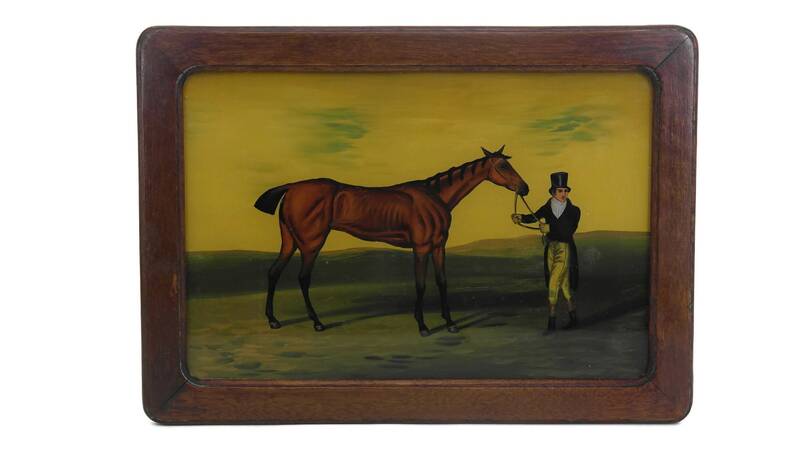 It will make a great equestrian gift for him and an elegant addition to his dresser decor. 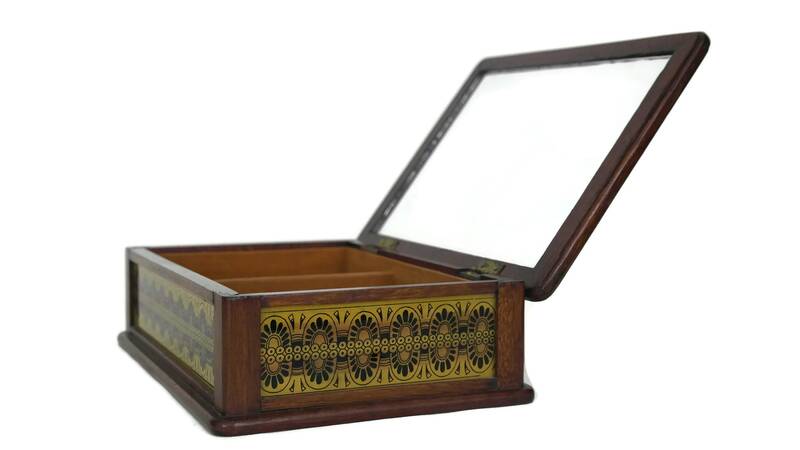 9.5" Long x 7" Wide x 3" Tall (24,5 cm x 18 cm x 7,5 cm). 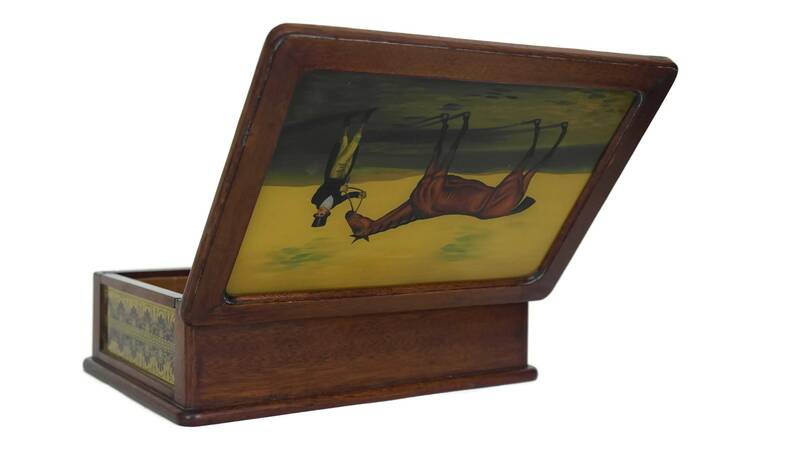 The wooden valet box is in very good vintage condition with some signs of age. 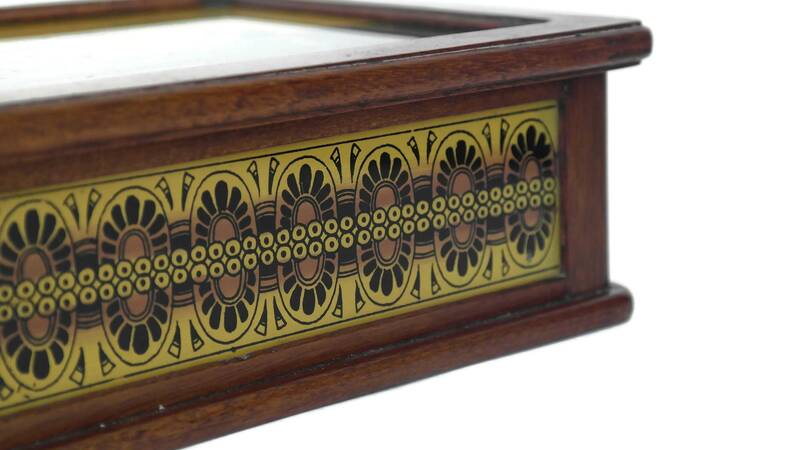 There are some surface marks to the glass and wood in places.